Dr. Ansari performs bladeless eyelid surgery that brings both cosmetic and potential functional benefits to his patients. This technique involves an incision created with an energy-based device rather than a scalpel, offering quality precision and less bleeding, bruising and swelling. Patients enjoy greater comfort and shorter recovery times without compromising the results of their procedure. Traditional blepharoplasty tends to be more expensive, leaves you with an undesired scar and requires more downtime afterward. In comparison, bladeless eyelid surgery is superior at defying gravity and correcting droopy eyelids. This advanced technique is safer and more affordable, offering patients less scarring and faster recovery times. 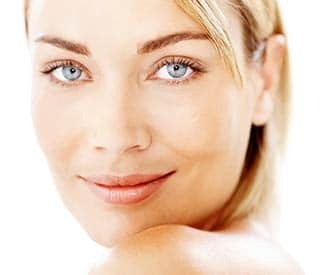 Men and women alike can enjoy natural results that improve self-esteem, confidence and motivation and the effects last as long as those achieved with traditional blepharoplasty techniques. A consultation with Dr Ansari will provide full insights into the most suitable options, while taking into consideration your desired outcomes and lifestyle. IS BLEPHAROPLASTY (EYELID SURGERY) THE RIGHT PROCEDURE FOR ME? The visible sagging of your eyelids is a natural phenomenon of aging, but tends to make you look tired and exhausted, even though you may be feeling fresh and wide awake. If you are concerned about droopy eyelids, then this is the right procedure for you, because eyelid surgery refreshes the appearance of your eyelids, whether you choose just the upper eyelids, lower eyelids or both for your surgery. The aim of eyelid surgery is to improve the appearance of your eye area and to make you look healthier, more refreshed and less tired. Droopy upper eyelids make people look tired and old before their time. These can also decrease the entry of light into your eyes, narrowing your peripheral visual field and affecting your vision. Living with drooping eyelids is not easy and it is common for some people to compensate by raising their eyebrows, simply to improve their vision. Unfortunately, this behaviour can result in excessive forehead creases, as well as eyes that look prematurely aged and tired. As a cosmetic surgeon, Dr Ansari performs bladeless eyelid surgery that brings both cosmetic and possible functional benefits to his patients. This blepharoplasty involves making an incision with an energy based device, offering quality precision, less bleeding, bruising and swelling, and a quicker recovery time. WHAT IS THE DIFFERENCE BETWEEN UPPER EYELID SURGERY AND LOWER EYELID SURGERY? Upper eyelid surgery is designed to target excess skin and puffiness in your upper eyelid, whilst lower eyelid surgery is useful in treating excess skin, puffiness, and hollowness under the eyes. The best candidates for blepharoplasty (eyelid surgery) are healthy men and women who have sagging in their upper or lower eyelids, along with puffy, loose and creepy skin. Although most eyelid surgery patients are middle aged, blepharoplasty is also quite beneficial for younger individuals, particularly when droopy or baggy eyelids are hereditary or develop prematurely. WHERE IS THE BLEPHAROPLASTY SURGERY PERFORMED? Most of our surgical procedures are performed in our clinic based theatre in Sydney, under twilight sedation and local anaesthesia. If for some reason, a general anaesthesia (GA) is preferred or if the procedure is combined with other major surgery, Dr Ansari will perform your blepharoplasty in an accredited hospital with first class GA facilities and with the assistance of a qualified anaesthetist. WHAT PREPARATIONS DO I NEED TO DO FOR MY BLEPHAROPLASTY? A simple blood test may be done pre-operatively, before your eyelid surgery and antibiotic tablets and painkillers are also prescribed. Pain relievers and anti-inflammatory medications, which are blood thinners, should be stopped at least a week before your surgery, and fish oil and some vitamins are stopped for the same reason. It is not usual to have to cease any other prescription drugs. We ask you to arrive about half an hour before your eyelid surgery and you will be given a small dose of oral sedative at that time. After photographs are taken of your eye area, the surgery is fully explained to you (we also explain your surgery at your consultation) and your queries are answered, Dr Ansari will make accurate measurements of the skin that needs to be removed, giving you ample time to ask any remaining questions, prior to your surgery. Next, you will be taken to the theatre room and a small amount of strong local anaesthetic is used to numb the site of your surgery. This local anaesthetic is allowed to work for about 10 minutes and then your eyelid surgery is performed. Once your surgery is completed, you will be observed while you recover for another 20 – 30 minutes. Only antibiotic ointment will be applied to your wound and we don’t believe in bulky dressings. You might prefer to bring your sun glasses to cover your eyes in the early recovery period. It is not possible to drive yourself home following a blepharoplasty, but if you do not have anyone who can drive you safely home, we can call you a taxi. An upper blepharoplasty is performed using a precise incision in the crease of your upper eyelid. This incision heals very well and will be almost imperceptible once healing has occurred. The excess skin is removed and a small amount of muscle and fat may be removed or repositioned as required, and the skin is closed with very fine stitches. A lower blepharoplasty can be performed using an incision underneath the eyelashes (subciliary approach) or inside the eye lid (transconjunctival approach). The skin and muscle are elevated,any necessary internal fat removed, a tiny strip of skin is removed if required, and the muscle and the skin are closed with very fine stitches. It takes approximately 30 minutes for upper eyelid surgery and 1 hr for lower blepharoplasty surgery to be performed or around 1.5 – 2 hours if both operations are performed together. There are risks associated with any surgical procedure and blepharoplasty is no exception. Potential complications might include bleeding, dry eyes, slight asymmetry during healing, swelling in the corners of the eyelids, temporary blurred vision, and ectropion (lower eyelid turns outward). Dr Ansari will discuss the side effects and any potential complications directly with you at your initial consultation, but rest assured that with his extensive training he will take pains to avoid them. Considering the skin around your eyes is the thinnest skin on the body when incisions are correctly placed, they will heal well and will likely be nearly imperceptible. Eyelid surgery is not typically painful, and the most you will usually feel is a slight burning sensation around your eyes for about one hour after the procedure. Discomfort of any kind subsides within approximately one hour and the rest of your recovery period should be comfortable. WHAT CAN I EXPECT IMMEDIATELY AFTER MY BLEPHAROPLASTY? Following your eyelid surgery, you will be allowed to return home the same day as your surgery. You will return to see Dr Ansari in his rooms around 8th – 10th post-operative day, when the sutures will be removed.You can also have your sutures removed at your GP if you prefer. From that point on, any bruising will start to quickly subside and you can wear make-up after your sutures are removed. About 70% of the swelling resolves in the first 2 weeks with the remaining swelling taking about 2 months to fully resolve. Don’t worry however, because this remaining swelling is only mild and is not perceptible. Most patients are well enough to return to work by the 7th – 10th post-operative day.You may need to use some concealer to cover the wound or any remaining bruising. It is recommended not to perform strenuous exercises for at least 3 weeks after your eyelid surgery. WHAT HAPPENS DURING A CONSULTATION FOR BLEPHAROPLASTY? During your consultation, Dr Ansari will examine and evaluate the skin around your eyes and eyelids. He will explain the eyelid surgery to you, including the surgical technique he will use, where the surgery will be performed, what type of anaesthesia he will use, and a step-by-step explanation of your recovery. You will have plenty of time to ask questions during your consultation with Dr Ansari. However, following your consultation, if you have any further questions, you can email them to us or if you prefer, organise another consultation with Dr Ansari. At My Cosmetic Clinic, eyelid surgeries are usually performed in our clinic theatre. The cost of surgery is $2,950 for the upper lids and $5,950 for the lower ones. These prices include post-operative appointments for six months to ensure your recovery progresses without complications.